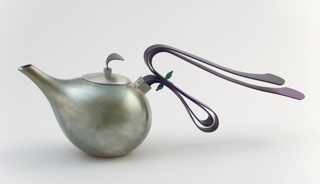 This object is currently on display in room 206 as part of Feeding Desire: Design and the Tools of the Table, 1500-2005. There are 4 other images of this object. See our image rights statement. See more objects with the tag kitchen, dining, multicolored, brightly colored, geometric, eating, portable, playful. See more objects with the color mediumvioletred grey darkslateblue teal dimgrey or see all the colors for this object. This is a Dinner knife. It is dated 1986 and we acquired it in 1986. Its medium is anodized aluminum. It is a part of the Product Design and Decorative Arts department. 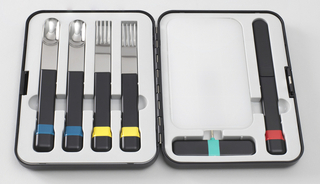 American designer David Tisdale won both the American Craft Museum Design Award (1985) and the Pantone Color Award (1988) for his Picnic Flatware. 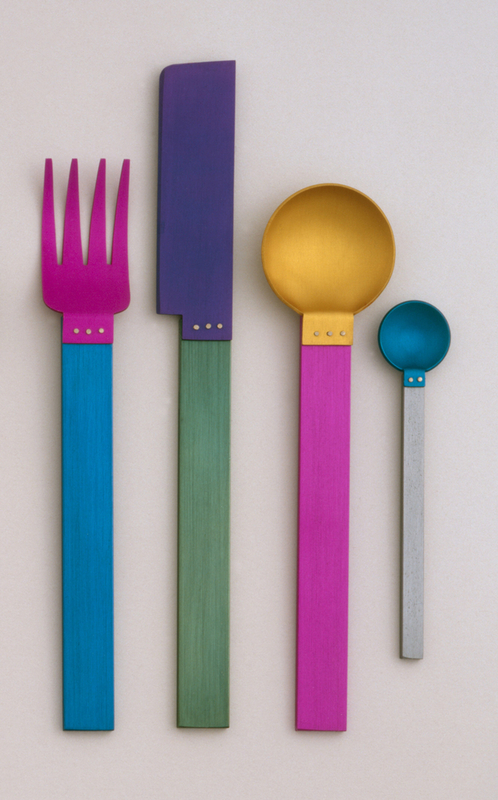 Tisdale’s focus on basic geometric outlines in his rainbow-colored eating utensils highlights their elemental function rather than intricate ergonomic shapes. 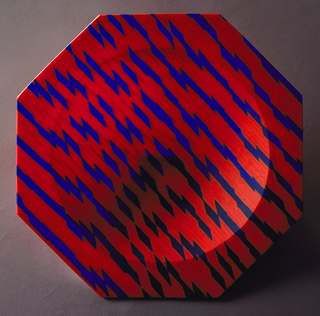 Tisdale gained acclaim for this flatware, although he also designs jewelry in a similar Constructivist manner — his bracelets, earrings, and brooches contain geometric shapes, straight lines, and flat areas of color.